Being your own personal fix-it can make you feel proud. Fixing can even help your technical and problem solving skills. However, there are some issues that will need you to find an immediatehandyman. Here is a list of problems that will require you to hire a handyman, rather than attempting to do the project yourself. Outdoor sprinklers can keep your lawn beautiful. In ground sprinkler systems make it easy to utilize water to keep the ground lush and green. When your sprinkler system starts to act up, the best thing to do is to call a handyman. A leak in a sprinkler system can cause issues with your yard remaining wet longer than necessary. Leaks will also be expensive, especially when it comes to major water sprayers, like sprinkler systems. If you are having an issue, call a handyman to take a look at the system and fix any hose problems. When it comes to installing a new product in your bathroom, it is best to leave it to the professionals. If you make the investment of purchasing the product, you should also invest in installation to know that it will be properly set up in your bathroom. When you hire the handyman for an installation job, be sure that you let the person who will be handling the installing know of the make and model before they take on the job. Certain jobs and products may need specific tools. The more information you can provide the contractor, the better. Windows and doors are the openings of the home. If you are removing and installing windows or doors that are new. Installing a window and a door means that the frames of these items need to be checked and adjusted as necessary. If the frame is adjusted incorrectly, it may be easy for anintruder to gain entrance into your home, which is what you want to avoid. Replacing doors and windows is often a good idea when you are moving into a new home. Bring your handyman around to check and replace these items if you have just purchased the new product. Allow them to install the product, and ask for their advice on the quality, while they are at it. You want quality windows and doors for a number of reasons, including safety. Are there wires behind this wall? Are pipes running through the wall? Is it possible that there is asbestos lining or other harmful materials? How can the wall be torn down safely? What happens if there is damage found behind the walls? These thoughts are all items that you need to know the answer to prior to tearing down a wall. In the interest of being safe, you need to bring in a handyman. The handyman should do a full inspection before giving you the green light to tear down the wall. The handyman also likely has better tools to make sure that the job can get done safely and easily. Structural issues in the home can spell major trouble. Structural damage is one of the most expensive and extensive issues to fix. IF you think that there is structural damage, or if you have evidence of any structural damage, you should hire a handyman who can perform the work. Home remedies do not work for construction damage. When it comes to the structure of your domain, you do not want to hire someone without full confidence. You should find contractors who know that they can do the job correctly. Paying for the same issue twice is financially and physically draining. A home can easily begin to fall apart due to structural issues, therefore, get these done correctly and immediately. Whether you rent or own, knowing a good handyman can save you trouble when you find a problem in your home. If you do not know a handyman, asking around online is a good way to find a person who will be able to help service your home’s needs. 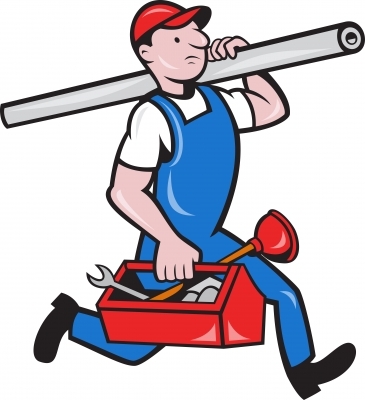 If you are looking for a handyman who can help with specific jobs or issues, click here. Contractors will be able to email you if they find your job to be something that they can perform as well. Finding a good handyman to fit your needs can take a little bit of trial and error, however, once you find the right fit, they can be your saving grace when damage and issues come about.